Henry Ford made a name for himself in American history as an influential player in the development of the American automobile industry. Though it has been over one hundred years since he founded the Ford Motor Company, his life and legacy continues to be a subject of interest for many people. Authors and scholars have explored many facets of Henry Ford’s life and work. And Then Came Ford by Charles Merz. Garden City, New York: Doubleday, Doran, 1929. 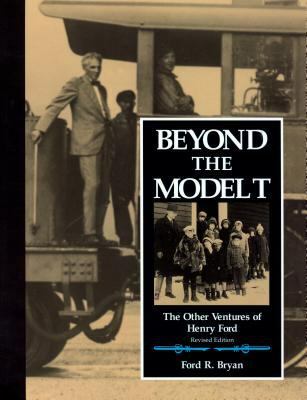 Beyond the Model T: The Other Ventures of Henry Ford by Ford R. Bryan. Detroit: Wayne State University Press, 1997. Camping in Cloverland with Henry Ford by Guy Forstrom. Quinnesec, MI: The author, 2011. Drawing Conclusions on Henry Ford by Rudolph and Sonya Alvarado. Ann Arbor: University of Michigan Press, 2001. Faces of Henry Ford: A Pictorial Chronology of Henry Ford by Robert C. Kreipke. Evansville, Indiana: M.T. Publishing Company, Inc., . The First Henry Ford: A Study in Personality and Business Leadership by Anne Jardim. Cambridge: MIT Press, 1970. Ford: The Men and the Machine by Robert Lacy. Boston: Little, Brown and Co., 1986. Ford: The Times, the Man, the Company by Allan Nevins and Frank Ernest Hill. New York: Charles Scribner’s Sons, 1954. From These Beginnings: The Early Philanthropies of Henry and Edsel Ford, 1911-1936 by William Greenleaf. Detroit: Wayne State University Press, 1964. Green Fields and Fairer Lanes, Music in the Life of Henry Ford by Faye Witt Moreland. Tupelo, MS: Five Star Pub., 1969. Henry Ford by Roger Burlingame. New York: New American Library, 1956. Henry Ford by John B. Rae. Englewood Cliffs, NJ: Prentice-Hall, 1969. Henry Ford by Vincent Curcio. Oxford; New York: Oxford University Press, c2013. Henry Ford: A Hearthside Perspective by Donn Werling. Warrendale, PA: Society of Automotive Engineers, 2000. Henry Ford: A Pictorial Biography by Jeanine M. Head and William S. Pretzer. Dearborn, MI: Henry Ford Museum & Greenfield Village, 1990. Henry Ford: America’s Don Quixote by Louis P. Lochner. New York: International Publishers, 1925. Henry Ford: An Interpretation by Samuel S. Marquis. Detroit: Wayne State University Press, 2007. Henry Ford and Grass-Roots America by Reynold M. Wik. Ann Arbor: University of Michigan Press, 1972. Henry Ford and the Jews by Albert Lee. New York: Stein and Day, 1980. Henry Ford and the Jews: The Mass Production of Hate by Neil Baldwin. New York: Public Affairs, 2001. The Henry Ford Era at Richmond Hill, Georgia by Franklin Leslie Long and Lucy Bunce Long. Darien, GA: Darien Printing & Graphics, 1998. Henry Ford: His Life, His Work, His Genius by William Adams Simonds. Los Angeles: F. Clymer, 1946. Henry Ford: Ignorant Idealist by David E. Nye. Port Washington, New York: Kennikat Press, 1979. Henry Ford’s War on Jews and the Legal Battle Against Hate Speech by Victoria Saker Woeste. Stanford University Press, 2012. Henry’s Attic: Some Fascinating Gifts to Henry Ford and His Museum by Ford R. Bryan. Dearborn, MI: Ford Books, 1995. Henry’s Lieutenants by Ford R. Bryan. Detroit: Wayne State University Press, 1993. 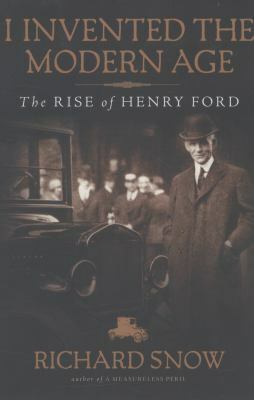 I Invented the Modern Age: The Rise of Henry Ford by Richard F. Snow. New York: Scribner, 2013. The Last Billionaire: Henry Ford by William C. Richards. New York: Bantam Books, 1956. The Last Days of Henry Ford by Henry Dominguez. Boston, Mass. : Racemaker Press, c2014. The Legend of Henry Ford by Keith Sward. New York: Rinehart, 1948. Monopoly on Wheels: Henry Ford and the Selden Automobile Patent by William Greenleaf. Detroit: Wayne State University Press: 1961. The Odyssey of Henry Ford and the Great Peace Ship by Hershey Burnet. New York: Taplinger Publishing Co., 1967. The People's Tycoon: Henry Ford and the American Century by Steven Watts. New York: A.A. Knopf, 2005. Power that Wins: Henry Ford and Ralph Waldo Trine in an Intimate Talk on Life by Ralph Waldo Trine. Indianapolis: Bobbs-Merrill Co., 1929. The Public Image of Henry Ford: An American Folk Hero and His Company by David L. Lewis. Detroit: Wayne State University Press, 1976. The Reckoning by David Halberstam. New York: William Morrow and Co., 1986. There to Breathe the Beauty by Norman Brauer. Dalton, PA: Norman Brauer Publications, 1995. We Never Called Him Henry by Harry Bennett and Paul Marcus. New York: Fawcett Publications, 1951. Wheels for the World: Henry Ford, His Company, and a Century of Progress, 1903-2003 by Douglas Brinkley. New York: Viking, 2003. Young Henry Ford: A Picture History of the First Forty Years by Sidney Olson. Detroit: Wayne State University Press, 1963. A number of books have been written about Henry Ford and his family including his wife, Clara, and his son, Edsel, who succeeded him as president of the Ford Motor Company. The Believer: The Life Story of Mrs. Henry Ford by Louise Clancy and Florence Davies. New York: Coward-McCann, 1960. 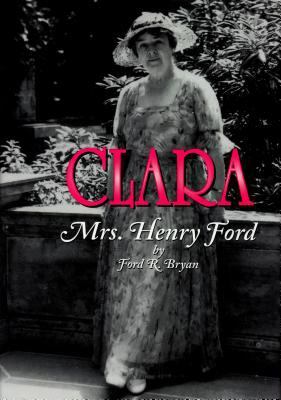 Clara: Mrs. Henry Ford by Ford R. Bryan. Dearborn, MI: Ford Books, 2001. Edsel: The Story of Henry Ford’s Forgotten Son by Henry Dominguez. Warrendale, PA: Society of Automotive Engineers, c.2002. Edsel Ford and E.T. Gregorie: The Remarkable Design Team and Their Classic Fords of the 1930s and 1940s by Henry Dominguez. Warrendale, PA: Society of Automotive Engineers, c1999. The Ford Dynasty: An American Story by James Brough. Garden City, NY: Doubleday, 1977. The Fords: An American Epic by Peter Collier and David Horowitz. New York: Summit Books, 1987. The Fords of Dearborn by Ford R. Bryan. Detroit: Wayne State University Press, 2004. Friends, Families & Forays by Ford R. Bryan. Dearborn, MI: Ford Books, 2002. “Good Morning”: After a Sleep of Twenty-Five Years, Old-Fashioned Dancing Is Being Revived by Mr. and Mrs. Henry Ford. Dearborn, MI: Dearborn Publishing Co., 1925. Henry: A Life of Henry Ford II by Walter Hayes. New York: Grove Weidenfeld, 1990. Henry and Edsel: The Creation of the Ford Empire by Richard Bak. Hoboken, NJ: Wiley, 2003. Never Complain, Never Explain: The Story of Henry Ford II by Victor Lasky. New York: R. Marek Publishers, c1981. Several autobiographical accounts were published during Henry Ford’s lifetime. These books however, though reflecting his views, were not actually written by Ford himself. Ford Ideals: Being a Selection from “Mr. Ford’s Page” in The Dearborn Independent by Henry Ford. Dearborn, MI: Dearborn Publishing Co., 1922. Moving Forward by Henry Ford and Samuel Crowther. Garden City, NY: Doubleday, Doran, & Co., 1930. My Life and Work by Henry Ford and Samuel Crowther. Garden City, NY: Doubleday, Page, & Company, 1922. My Philosophy of Industry: An Authorized Interview by Fay Leone Faurote. New York: Coward-McCann, 1929. The Case Against the Little White Slaver by Henry Ford. Detroit, Michigan: Henry Ford, 1916. Things I’ve Been Thinking About by Henry Ford. New York: Fleming H. Revell, 1936. Today and Tomorrow by Henry Ford and Samuel Crowther. Garden City, NY: Doubleday, Page, & Co., 1926. A number of books have been written to introduce children to Henry Ford and his story of American ingenuity. Driven: A Photobiography of Henry Ford by Don Mitchell. Washington, D.C.: National Geographic, 2010. Eat my Dust: Henry Ford’s First Race by Monica Kulling. New York: Random House, 2004. Henry Ford by Jacqueline L. Harris. New York: F. Watts, 1984. Henry Ford by Wil Mara. New York: Children’s Press, 2003. Henry Ford by Jeffrey Zuehlke. Minneapolis: Lerner Publications Co., 2007. Henry Ford: A Photo-Illustrated Biography by Erika L. Shores. Mankato, MN: Bridgestone Books, 2004. Henry Ford and the Automobile Industry by Lewis K. Parker. New York: PowerKids Press, 2003. Henry Ford: Industrialist by Michael Burgan. Chicago: Ferguson, 2001. Henry Ford and the Model T by Michael O’Hearn. Mankato, MN: Capstone Press, 2006. Henry Ford: Manufacturing Mogul by M. J. York. Edina, MN: ABDO, 2010. Henry Ford: Putting the World on Wheels by the editors of Time for Kids with Dina El Nabli. New York: HarperCollins, 2008. Henry Ford: The Car Man by Carin T. Ford. Berkeley Heights, NJ: Enslow, 2003. Henry Ford: Young Man with Ideas by Hazel B. Aird and Catherine Ruddiman. New York: Aladdin Books, Macmillan, 1986. Hit the Road with Henry Ford edited by John Mertz and Meg Chorlian. Peterborough, NH: Cobblestone, 2007. Model T: How Henry Ford Built a Legend by David Weitzman. New York: Crown Publishers, 2002. Tin Lizzie by Janine Scott. New York: Scholastic, 2006. Wheels of Time: A Biography of Henry Ford by Catherine Gourley. Brookfield, CT: Millbrook Press, 1997. We’ll Race You Henry: A Story about Henry Ford by Barbara Mitchell. Minneapolis: Carolrhoda Books, 1986.